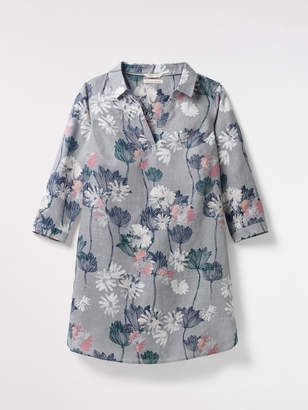 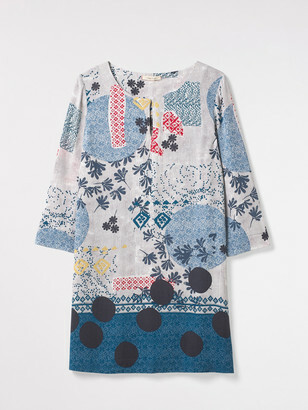 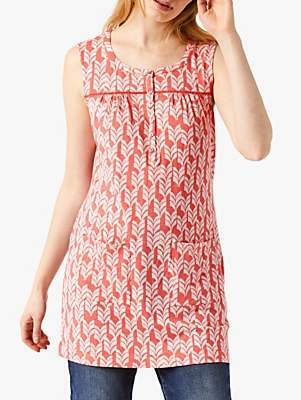 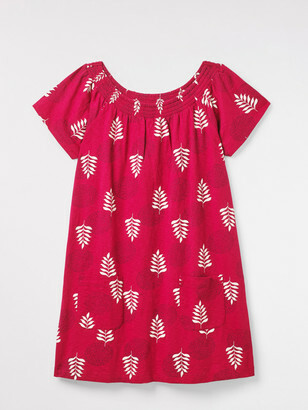 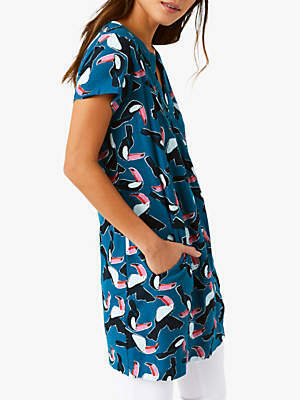 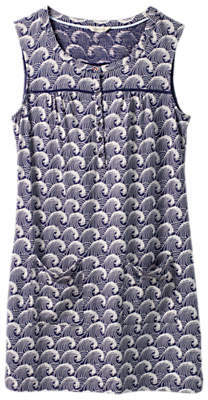 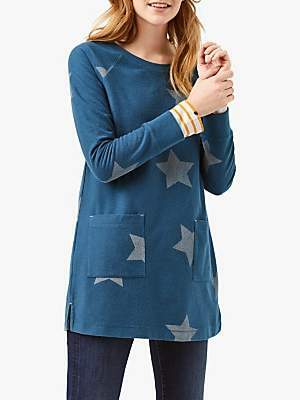 Adorned with a swirling wave print, this Harvest tunic top from White Stuff is perfect for bright sunny days. 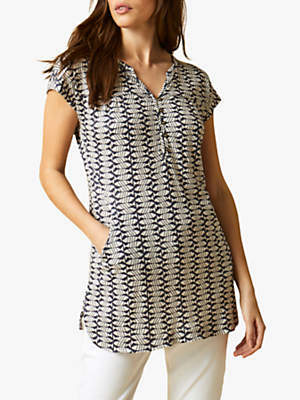 Made from a soft cotton blend jersey, this sleeveless top features a buttoned half placket with a round neckline, ladder lace detailing and front patch pockets. 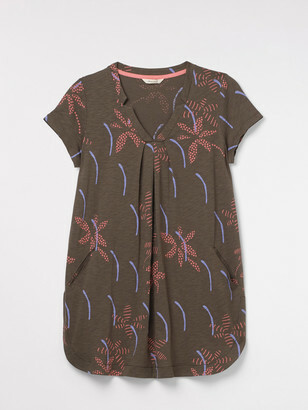 A longline relaxed style, team with washed denim and sandals for easy summer dressing. 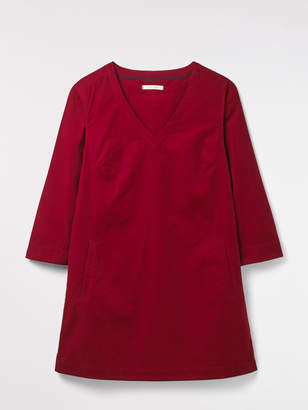 Shoulder neck point to hem length: 82cm (size 12).